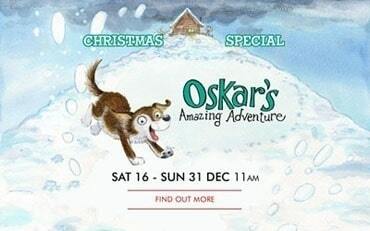 This coming Saturday we will be going into Brighton to see a showing of Oskar’s Amazing Adventure at the Komedia in Brighton. We’ve been sent the book in advance so we could get used to the story and find out what Oscars adventure is all about. Both my kids absolutely love live performances but they also love reading so it’s really nice to be able to introduce them to the story before we go and see the stage show. 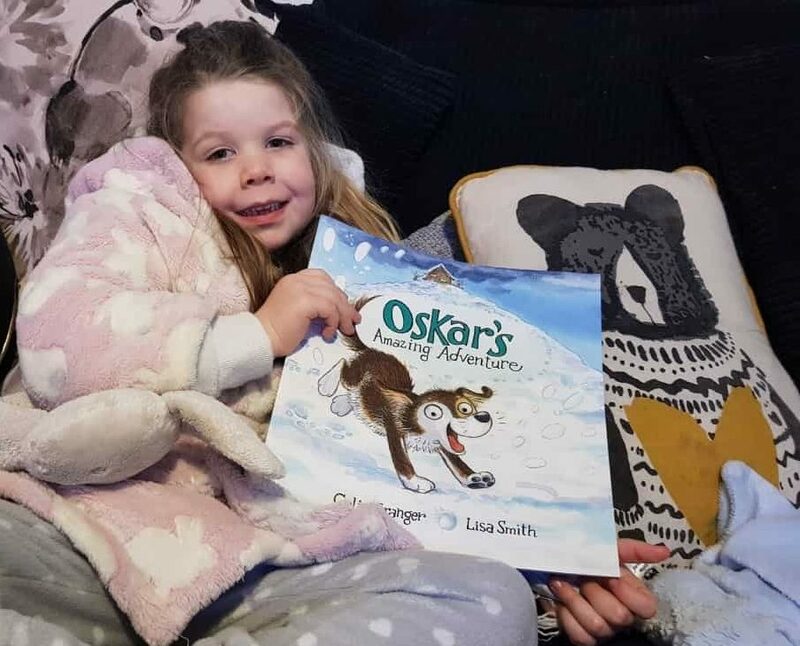 Oskar’s Amazing Adventure is a story by Colin Granger and Lisa Smith; it follows the story of Oskar the puppy as he’s looking for some friendly animals to play with in the snow. The thing is he can’t find any! The story shares the tale of why he has to wait until spring to find some friendly animals. It’s the perfect wintery, snowy book to snuggle up with under a blanket on the sofa after a long day before bed. 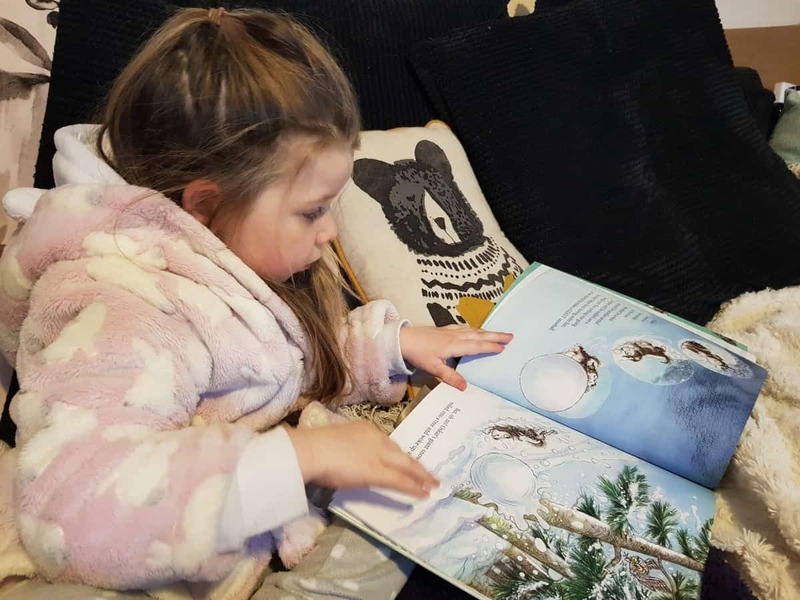 Athena is able to spot some of the words at four and a half but is happy to sit back and enjoy the story with me as is Arlo at 2. The illustrations are absolutely gorgeous throughout the book, with lots of fun in the snow and lots of animals to recognise. It has a nice happy ending too! The stage performance is being staged by Theatre Fideri Fidera and children can meet the stars of the show after each performance, and are encouraged to come dressed as an animal! Aimed at kids from 2 to 8 year olds and their families, and some showings have a workshop afterwards. We will be watching the show this Saturday and I’ll update you as to what we thought about it on Sunday! If you want to buy tickets or any find out any more information about the show then just click here. It’s showing from 16th to 31st December. We loved it! Athena was enthralled, and loved that she got to sit ‘all on my own’ as the kids all sat on cushions at the front of the stage with the parents behind them on chairs. The stage set was simply presented but worked so well, nothing too much to distract from the fabulous one woman show. We loved the story from reading the book so it was amazing to see it come to life in front of us with puppets, song and actions. Around 40 minutes long it is an ideal length for smaller kids like Arlo (2) to not get bored, plus the audience participation keeps them on their toes. It’s a lovely feel food story and I’d recommend it to anyone, young and old- my mum in her 60’s loved it too! Oh how cute – I love the idea of all the children dressing as animals!